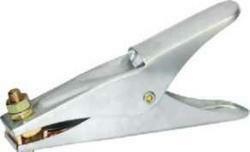 Providing you the best range of earth clamps with effective & timely delivery. orrosion resistant galvanized steel body. Heavy duty wire braided copper shunt. High tension steel spring. Conductive brass / steel jaws. Looking for Earth Clamps ?